1. 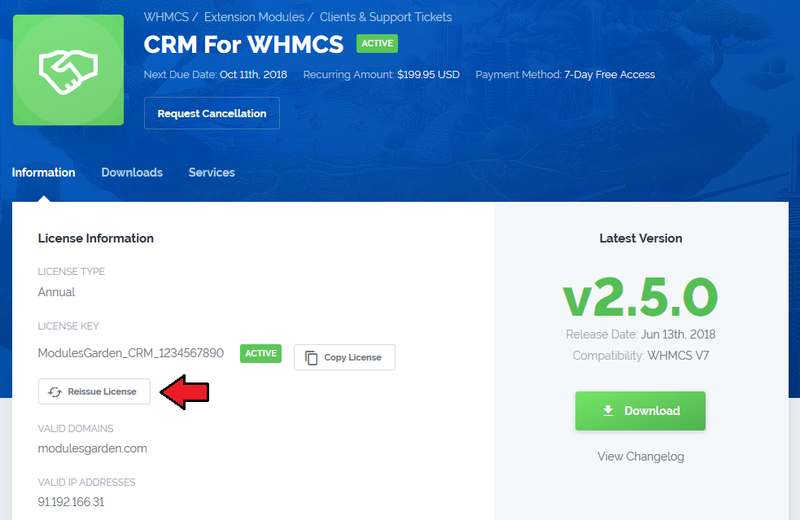 Changing WHMCS module language is very simple. First of all, go to 'lang' folder located in your module or templates directory. 1. Depending on the module the directory may vary. 2. There might be two language files located in different directories, separately for Admin Area and Client Area. You may decide whether you wish to translate both of them or only one. Copy 'english.php' file and rename the newly copied directory with your desired language, for example 'italian.php'. 2. Open your personalized file now and replace particular sentences with ease. For presentation purposes we changed ['manage header'] from 'Manage Account' to 'Gestisci Il Tuo Account'. Do not forget to save the changes! 4. Take a look at the screen and you will see that the header has changed from 'Manage Account' to 'Gestisci Il Tuo Account', which is a direct consequence of our modifications. Act accordingly to the above instructions to implement any changes in the language files of our modules. In case you have any doubts or encounter any problems we will do our best to provide you with adequate assistance. Please note that not all of our modules are provided with Multi-Language Support. 1. 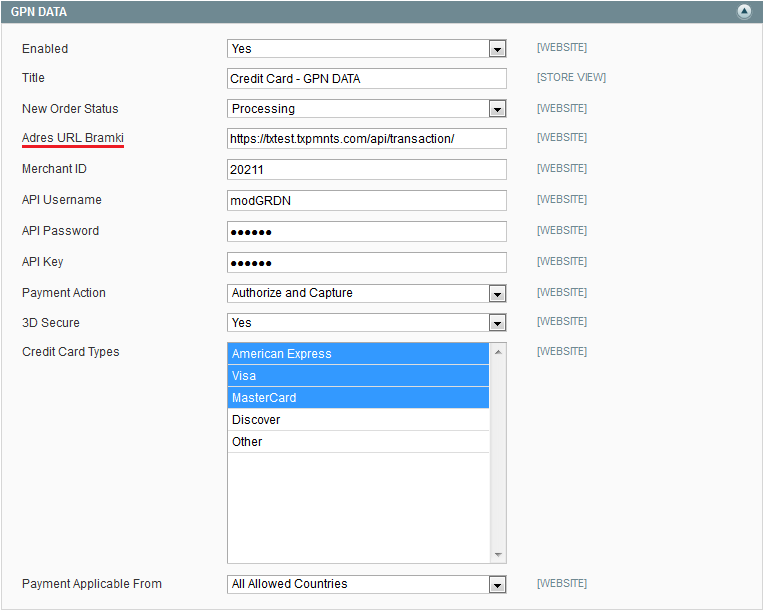 In order to change Magento extension language follow the steps shown below. Go to 'your_magento\app\locale\' where you can find language files. Choose language folder that you desire to translate from and find the file bounded to the extension. 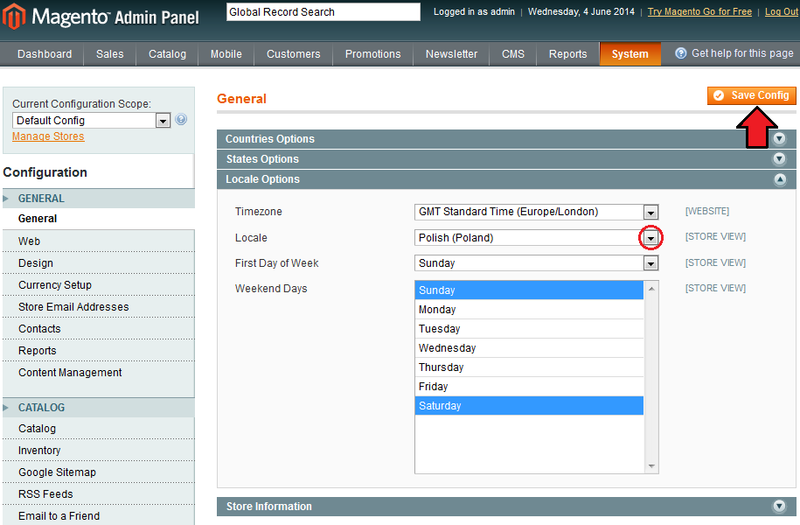 For the purposes of an example, we will create a Polish language file for GPN DATA For Magento . Copy 'Modulesgarden_Gpndata' file from 'en_US\' folder to 'pl_PL\' folder. 2. Edit the previously created file in 'pl_PL\' folder. As you can see, each line consists of two phrases. First one (underlined with green) is a phrase in English which determines phrase to translate. Second one (underlined with red) is a phrase which will be displayed. On the following screen it is Polish translation for 'Gateway URL' . 3. Log in to your Magento admin area and proceed to 'System' → 'Configuration' . Choose desired language from 'Locale' dropdown menu under 'Locate Options' section as shown on the following screen. To see changes that you made, re log in to your account. 4. As you can see on the screen below, the 'Gateway URL' was replaced by 'Adres URL Bramki' owing to our changes. That's all, from now on you should not have any problems with changing language in our Magento modules. 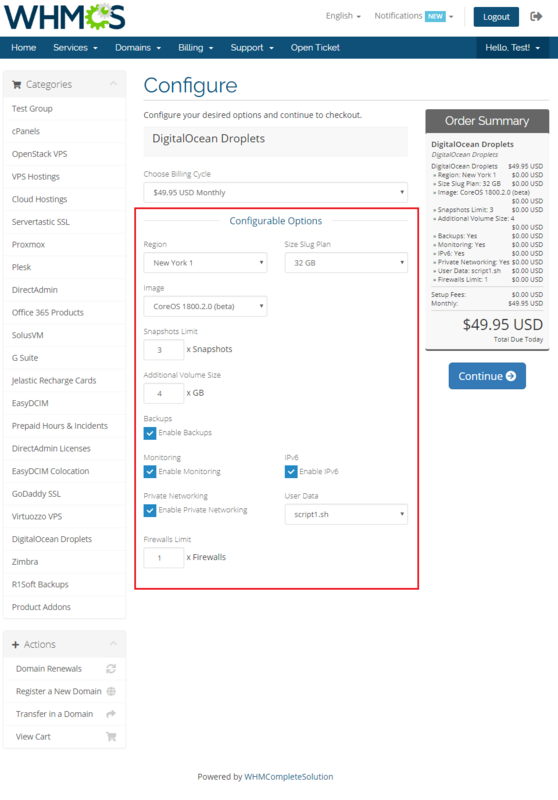 Proceed with step listed below in order to upload and enable custom admin panel theme. 1. 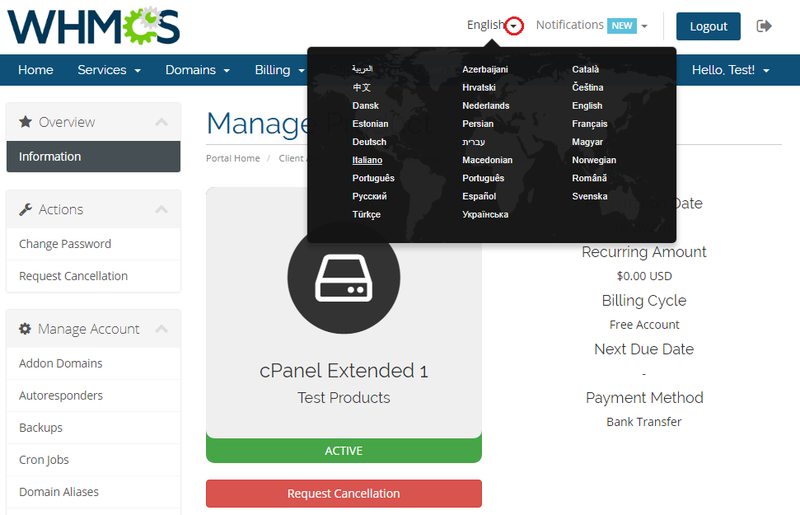 Download desired admin panel theme archive. 2. 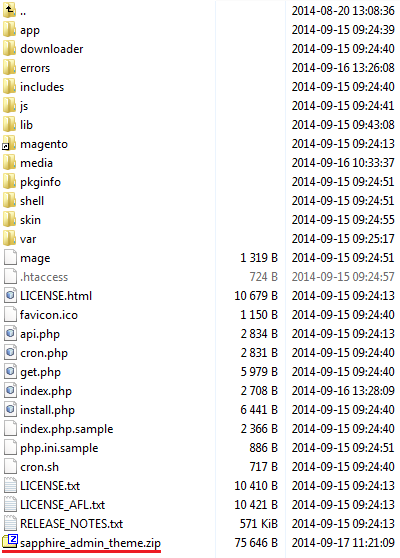 Upload and extract the theme archive into the main Magento directory. 3. Log in to the Magento admin panel, clear cache and proceed to 'System' → 'Configuration' . Now, press 'Design' under 'General' section. 4. 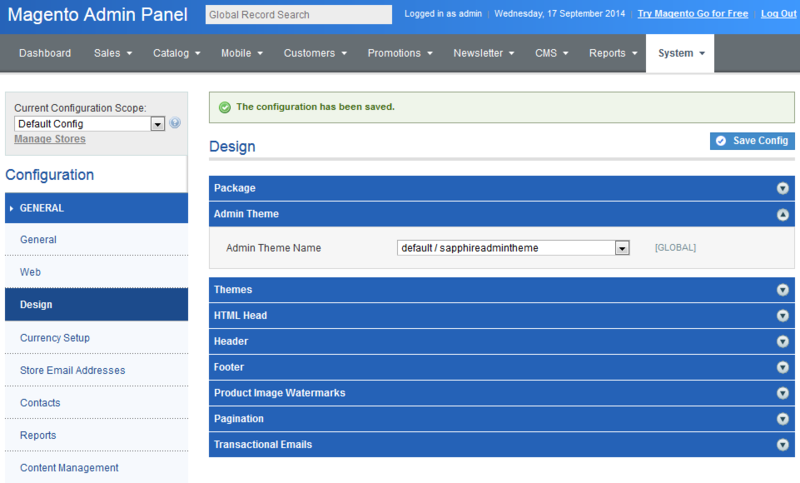 Press 'Admin Theme' and choose a previously uploaded theme from a dropdown menu. Confirm through pressing 'Save Config' . 5. Congratulations, you can enjoy your new admin panel theme! This section contains tips and tricks of solving problems related to Magento extensions' behaviour. During the extension activation process we recommend disabling Compiler. 1. Proceed to 'System' → 'Tools' → 'Compilation' and disable the Compiler. 3. 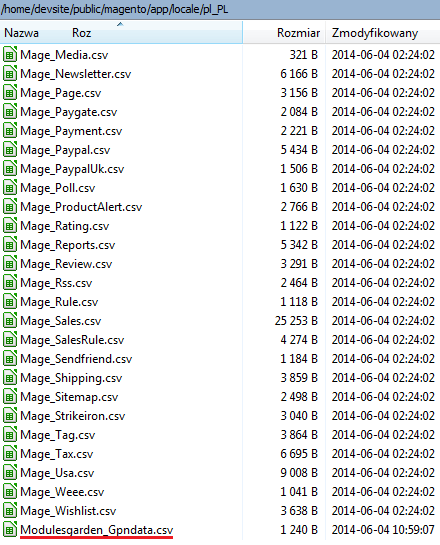 Recompile the Magento system. Note: If you encounter any problems with deactivation of the compiler, simply log into your Magento FTP account and rename 'include' folder. 1. Cleared the Magento cache under 'System' → 'Cache Management' . 2. Re-logged in to your Magento admin panel. 1. Missing logs in '/var/log' folder. Solution: Set up 'var' folder as writable. 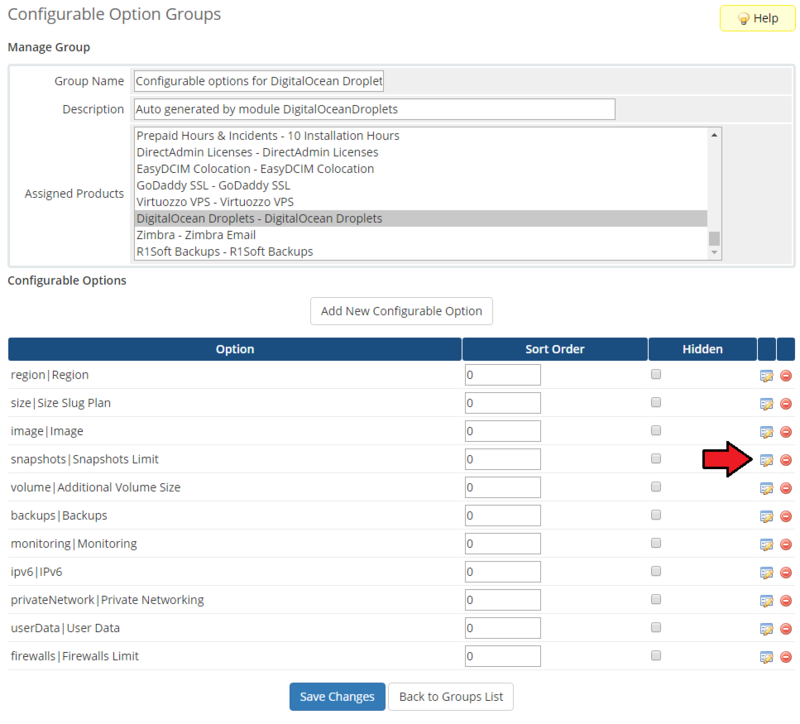 Proceed to 'System' → 'Configuration ' → 'Developer ' and select 'Yes' from 'Enabled' dropdown menu under 'Log Settings' section. If the procedure described below doesn't work for you, please report it to our Support Team. When you are experiencing white page or the module is not working as it should, you can enable debug mode that prints all the PHP errors on the screen. If you get the error as shown on the screen below, please make sure that you are using the correct parameter and you have sufficient privileges. In case you encounter any problems with the license, please read through the below points to find a solution. If you had a trial version and then bought a full version (separately), then the license key must be changed. If you own a trial version and then upgrade it to a full version, then a trial license key should be used. If you want to learn more about upgrades, please follow here. 2. Check if License_RENAME.php file has been removed (or renamed). 3. Make sure your license file content format is correct. 4. Check if your firewall does not block our domain: modulesgarden.com. "A problem with module occurred. Please contact the administration." Then we recommend reissuing your license in the ModulesGarden client area. Make sure all module files are correctly downloaded and installed. 7. If, despite following all of the above pieces of advice, problems with you license persist, try to reissue your license. To to so, log in to our client area, choose a product, and click the 'Reissue License' button located next to your license key. In case of further issues, please contact our Support Team. Configurable options on products allow you to give your clients variables which alter the resource available at that product as well as its price. 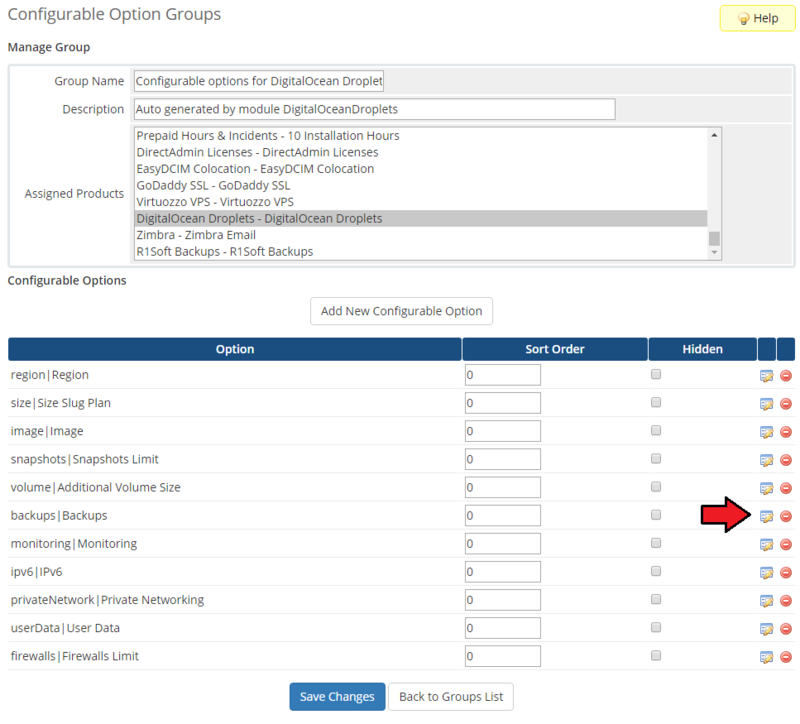 In this tutorial we will show you how to manage configurable options generated by our modules. 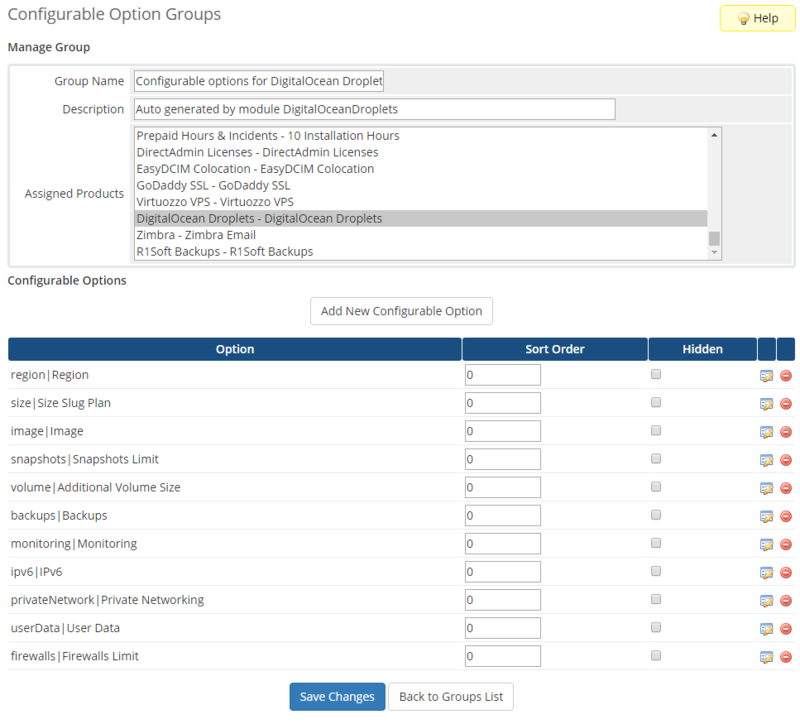 When you successfully set up a product, your client can order it by choosing its resource and settings from default configurable options. In case those options do not suit your needs, you can edit them. To do so, go to 'Setup' → 'Products/Services' → 'Configurable Options' and press edit button next to configurable option used by your product. Now we will show you how to edit options. 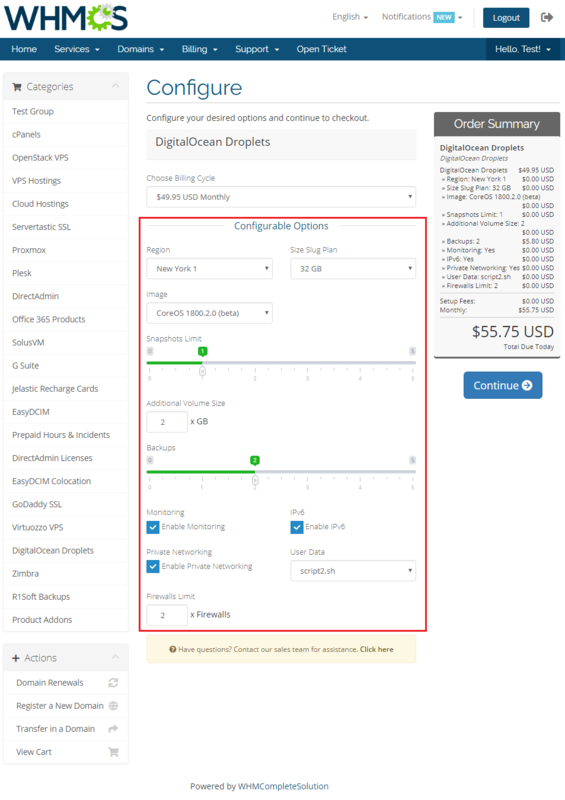 Let's say you want to add an option to order a product with up to 5 snapshots. To do so, edit 'Snapshots Limit' by pressing edit button as shown on the screen below. Enter the maximum allowed number of options and save the changes. 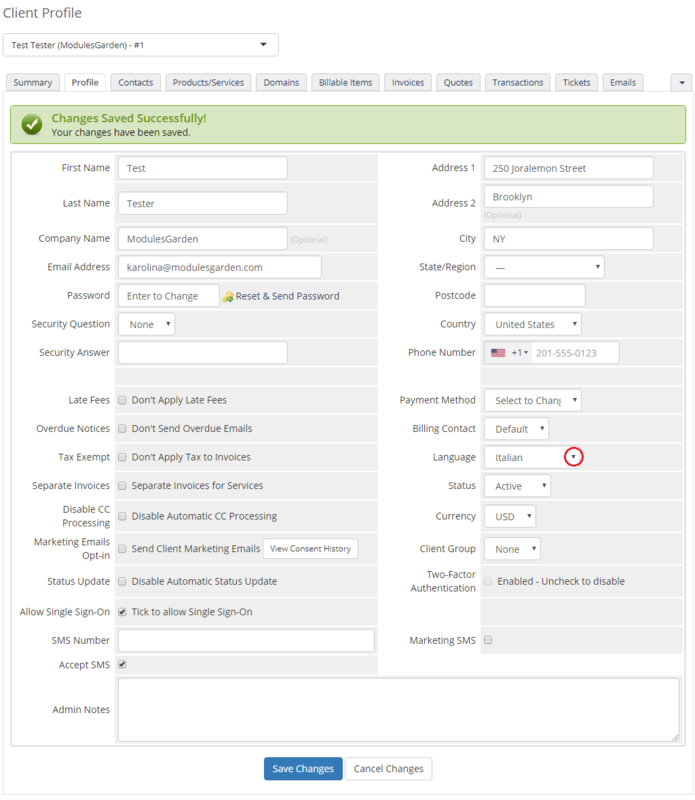 If you decide to hide configurable options from a client order form and manage them only from the admin area, follow the steps below. Firstly, go to 'Setup' → 'Products/Services' → 'Configurable Options'. Afterwards, tick 'Hidden' checkboxes next to configurable options you want to hide and confirm the action through pressing 'Save Changes'. 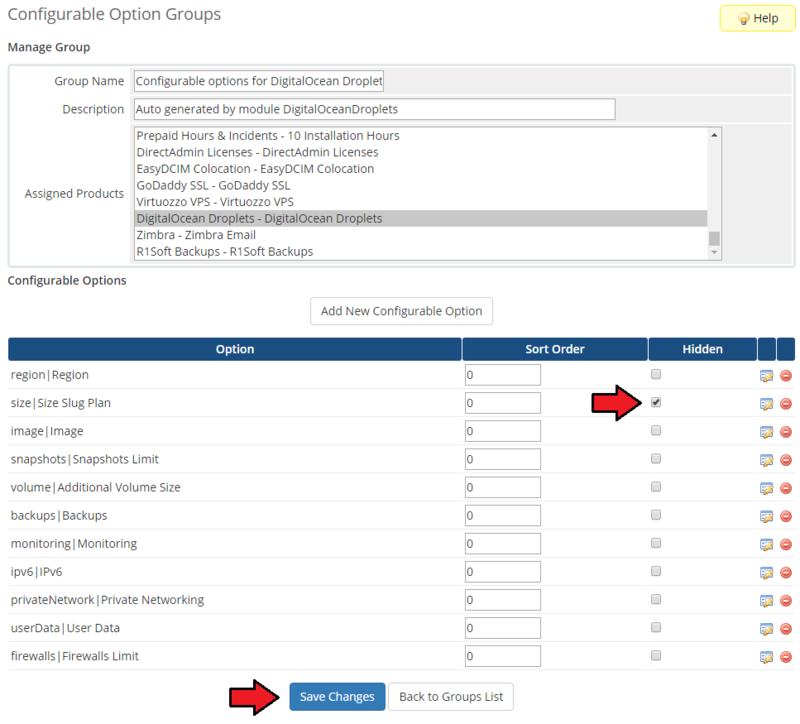 If you decide to set up pricing for configurable options, follow the steps described below. Press the edit icon next to configurable options you want to set the pricing for. Afterwards, you will see a popup window, so make sure your browser does not block it. Now, price you entered for resource should be in a column responsible for the same type of payment as your product uses. 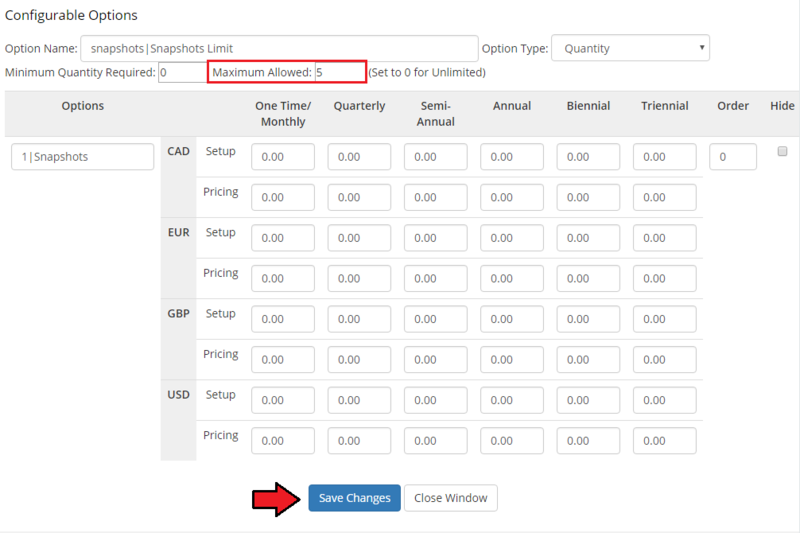 For example, if we have product with monthly and quarterly payments allowed, you will have to enter product pricing in the first and second columns. Confirm through clicking on 'Save Changes' button as soon as you finish. 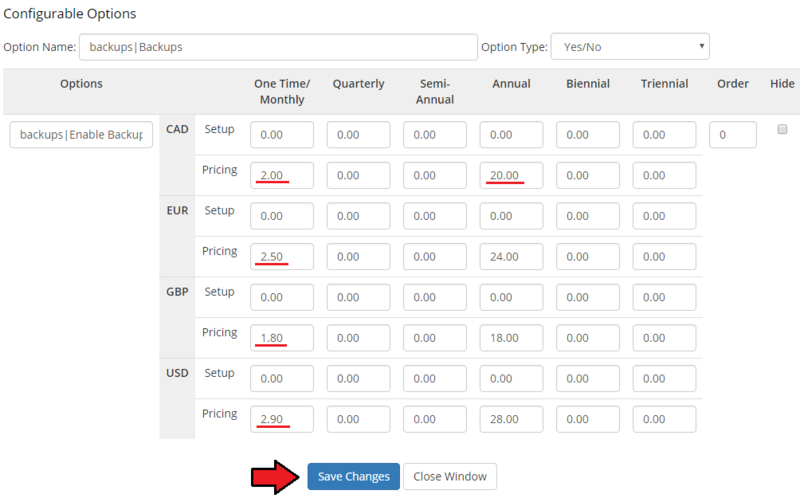 Depending on 'Option Type' , pricing you entered may be counted in various ways. 'Dropdown' - You have to set price for each option. 'Radio' - Same as above, only difference is the display manner. 'Yes/No' - Your price will be applied if client checkes this option. 'Quantity' - Price you set will be multiplied by amount of configurable options your client chooses. On the screen below you can see all configurable options types available on the order form. 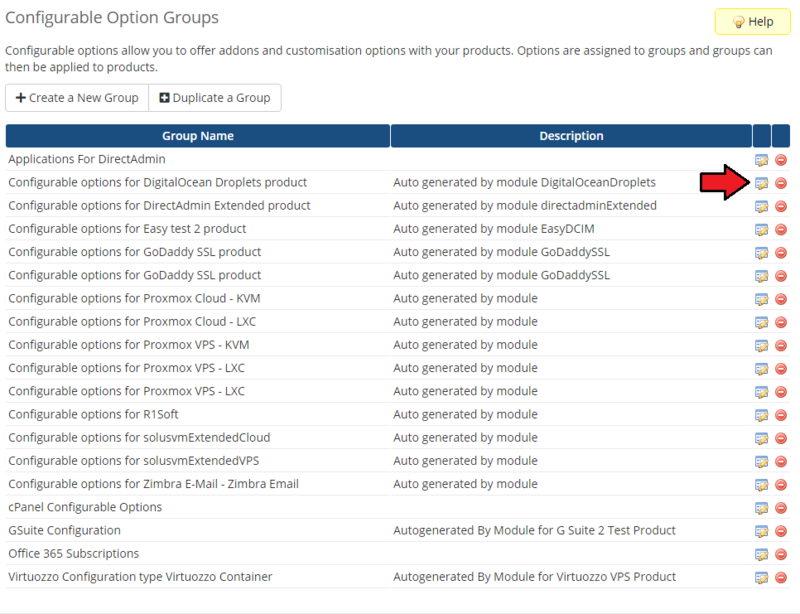 Now you should have no problems with understanding and using the configurable options in your WHMCS. 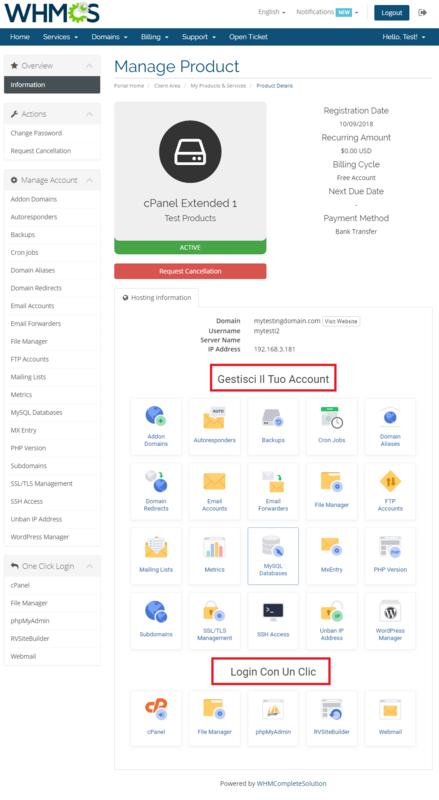 This page was last modified on 14 March 2019, at 14:50. This page has been accessed 68,150 times.